London, UK, 21st January 2015 – Allevate Limited today announced the availability of the latest version of MXSERVER from Tygart Technology, Inc., a leading provider of enterprise grade video and photographic analysis and biometric recognition systems. MXSERVER is a cloud-architected face recognition system that processes vast quantities of video and photo collections, quickly transforming files extracted from police body cameras, online sources, surveillance systems, confiscated phones and computers and, increasingly, “crowd-sourced” from members of the public. MXSERVER can transform these digital assets into searchable resources and identify and highlight useable intelligence. Using face recognition technology, this solution searches media archives, including those stored in disparate or disconnected systems, to find individuals of interest. It also indexes the digital media to enable it to be efficiently searched using a photograph of a face, previewed and analysed via an intuitive web-based user interface. Trained investigators are freed to intelligently apply their skills without having to view countless hours of media. Faster Face Search and Enhanced Scalability – face search speed is ten times faster — in large part because of MXSERVER’s new distributed “in memory” search capability. The search space is now evenly distributed across MXSERVER’s cloud of search workers which also improves the system’s scalability. MXSERVER supports very large face galleries containing 10 million+ subjects. Expanded Support of Additional File Types and Partially Corrupt Content – Tygart added a second video processing SDK to deliver more robust handling of partially corrupt videos and new/additional video and image file formats. Videos that can only be partially processed (those with corrupt segments) will no longer fail processing, and will still retain partial results. Enhanced Face Export – users can now define a minimum face size threshold when exporting face samples. Only those face samples greater than the user defined minimum pixel width (as measured between the eyes) will be exported. Support for Multiple Watchlists – organisations can now easily create, manage and search multiple watchlists. Batch Face Search – face search requests can now be submitted in large batches and can be cancelled, deleted and prioritized via an interactive search queue management module. The MXSERVER upgrade also includes enhanced security. Agencies are now able to limit personnel access through the addition of a “view only” user privilege classification, as well as an added quality control option, which requires a second user to confirm face matches. The ability to quickly, effectively and securely identify suspects after an incident or even help prevent one before it occurs is invaluable for law enforcement. In the UK, access to MXSERVER and all hosting and storage services are available on the G-Cloud Digital Marketplace using an easy to calculate monthly service fee. The GCloud catalogue is open to all public sector clients and is designed to provide a simple streamlined process for buying ICT focused products and services as a commodity without having to invite tenders from suppliers. 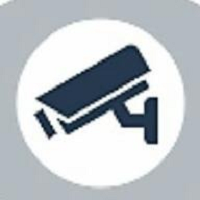 Tygart Technology, Inc. is a leading provider of enterprise-grade video and photographic analysis and biometric recognition systems. Tygart provides the U.S. Military, Intelligence Community and Law Enforcement markets with innovative software solutions that manage and automate the processing of massive volumes of digital video and photograph collections. Tygart’s solutions save analysts and investigators valuable time and resources, allowing the delivery of more timely responses for a lower cost. For more information, visit www.tygart.com or call 1-304-363-6855.